Todays’ beauty market is a very competitive place. More and more salons trying to compete with each other for a pretty static pool of customers. How do you compete? Do you become an innovator, always offering the latest treatments? Do you look at developments and bring in those that proved to be popular elsewhere? Or do you simply try to compete on price? While all these strategies have their pros and cons they all ignore one vital fact, that there is a huge, untapped market out there – MEN! Men currently make up only 5-10% of the clientèle of beauty salons, so there is potential to vastly increase this side of your business, but how do you achieve it? How to get more men into your beauty salon! If it was as simple as sticking a sign in the window saying ‘men welcome’ and cobbling together a few ‘men’s treatments’ to put on your price list then everyone would be doing it right now. To do this successfully takes some assessment and planning, so let’s start right at the beginning. These should be your first thoughts. 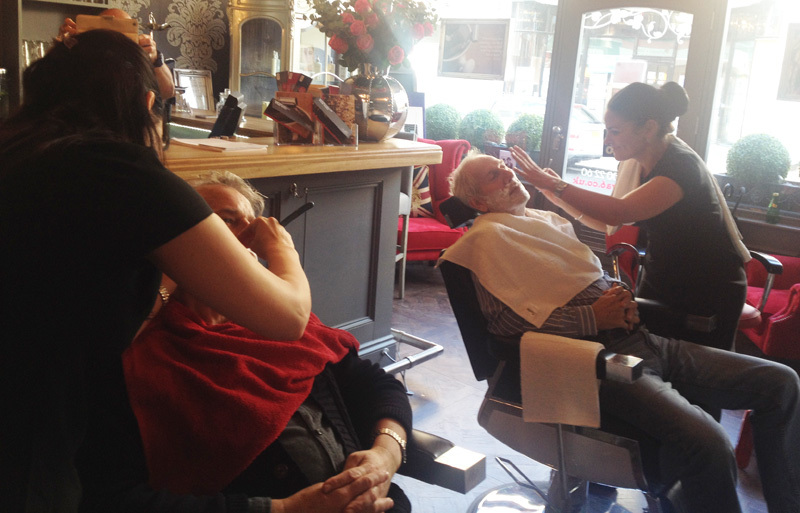 Are your current staff and clients going to be happy with your efforts to bring men into the salon? A lot of women consider their preferred salon to be a ladies only area. They might feel more inhibited and less relaxed knowing that men are present. Are your staff going to happy to treat men, and possibly have to learn new skills and techniques? There’s a big difference between giving a man a manicure and waxing his chest, or giving him a massage. Does the layout of your salon accommodate and appeal to men? Most men are not going to be comfortable walking into a ‘pink palace’. Is your décor overly feminine? Is it possible to create an area specifically for men, or could you tone down the overall décor into something more neutral? A man coming in for the first time might be embarrassed talking about his requirements at an open reception, so do you have a private consulting area? Likewise a guy having a manicure might not like have it in front of other customers or in view of passers-by, so would it be possible to set up a nail station in a treatment room? Would your staff feel more comfortable treating men if you installed an intercom or panic buttons? If you realise that it’s going to be difficult to treat men and women at the same time would it be possible to allocate specific hours or days to men only? All of the above seems very daunting, but this is only a list of potential pitfalls. Mostly it’s a way of getting you to look at your salon with fresh eyes and spot any obstacles before they occur. The fashion in salon decoration nowadays is quite neutral, not too girly and frilly, so often all you’d need to do is get a supply of men’s magazines (no, not that sort of magazine, I mean Top Gear, GQ, Men’s Health, etc!) for the reception table. So, you’ve considered all of the above and decided that the benefits of your new clientele far outweigh the cost and effort of attracting them. That’s great, but what are you going to offer them and how are you going to attract them through your door? When you’re creating a male menu there is one important rule – KEEP IT SIMPLE! The vast majority of men are not going to have any idea what an Orange Blossom Sugar Glow Massage or Royal Milk and Honey Firming Ritual are or even microdermabrasion or cavitation, and will find their lack of knowledge intimidating. So don’t just reprint your current treatment menu on blue paper and hope for the best! A good male treatment menu should ideally be short, concise and cover all the basics – a facial, manicure and pedicure, waxing, massage. But before deciding on this let’s do a very clever piece of market research and promotion rolled into one, for little or no cost. It’s been calculated that, on average, every woman has influence over at least five men – fathers, husbands, brothers, sons, boyfriends, etc. So multiply the number of female clients you have by five and that’s the number of guys you have a direct link to already! I have created a questionnaire for you to give to your existing female clients (email me for a free copy). 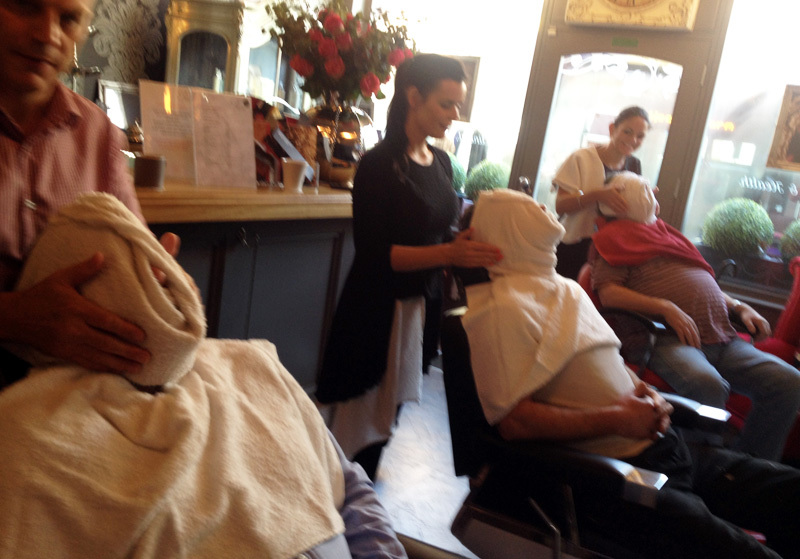 This explains that you are introducing a male menu and asking them what they would like the men in their lives to have – traditional hot towel wet shave for a super smooth, kissable face, manicure and pedicure for work hands and sandle feet? The questionnaire works on three levels. It gets your existing clientele on-side and involved in your new venture, and feeling valued that you would ask their opinion. It has also started promoting it to the very people who will be your initial targets – wives, mothers, sisters, girlfriends, people who will buy gift tokens for the men in their lives. And thirdly, if gives you great leverage when you start promoting directly to men (via sports clubs, gyms and the workplace) to be able to say that ‘80% of women surveyed didn’t like hairy backs’ for example. This is invaluable information for single guys! You don’t need to restrict the questionnaire to current customers either, use it as a marketing tool to get your salon name in front of new customers. Network it out to local women’s groups, school PTA’s, anywhere that it’s going to come to the attention of local women. Now you’ve got your basic framework of treatments that women want their men to have, you have started to create a demand for these treatments among those women, and, hopefully, a buzz is starting to grow. How do you translate this into a successful treatment package? Men are going to be looking for very different things from a treatment than women. Men are far more likely to be attracted to treatments that are ‘healthy’ or ‘grooming’ rather than ‘relaxing’ or ‘pampering’. So a facial described as ‘deeply skin cleansing’ would be more appealing than ‘hydrating and relaxing facial’. This doesn’t mean that you take out the relaxing and pampering bits, men will still love these, but they have to feel that this part is incidental to the overall good that they are getting from the treatment. Men still have a lot of guilt about relaxing, turning off and letting go! The key word to emphasise repeatedly is ‘grooming’. It appeals to men’s vanity and their ladies desire to smarten them up. There is one last pitfall to avoid. It’s going to be fairly easy to persuade your female customers to buy gift tokens for the men in their lives, but you have to overcome the reluctance that many men will have to enter a beauty salon for what they may perceive as a woman’s treatment. They are not going to become regular, profitable clients if they never come in through the front door. What you have to offer is something that ticks both the grooming/healthy and ‘macho’ boxes. This could be something like a sports or remedial massage. But the number one, runaway winner in this category is to offer Traditional Hot Towel Wet Shaves. Done properly this is the ultimate grooming treatment, but it can also be your ultimate tool to introduce all the other treatments in your male treatment package. Once a guys come in, settled in the chair and has got confidence that you know what you are doing and what you’re talking about he is putty in your hands. During the shave you are studying his face in detail and can make suggestions for follow up facials, or everyday products, which will improve his looks and make his shaves easier and more enjoyable. You can add in waxing for the ears and nose, which leads naturally to discussing waxing for chests or backs. Put a little neck or shoulder massage into the treatment and he’ll soon realise the amount of tension he’s carrying there. 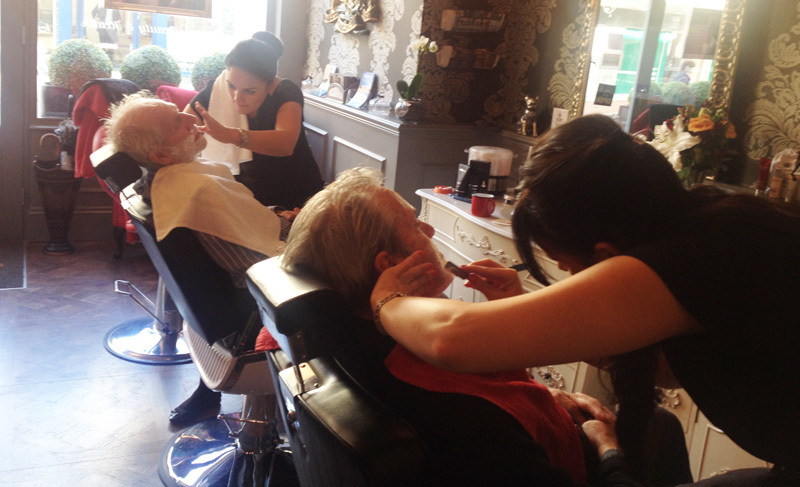 Start to build up some package treatments, how about a shave, facial wax and manicure? If you use products that have a men’s range (Elemis, Dermalogica and Espa do, amongst others) develop a signature shave using their products. This is great for follow up treatments and product sales. As you can see, this is the one treatment that can pull everything else together into a cohesive package. Plus it will keep them coming back. Once they’ve found somewhere that will give them a great shave, plus all the other follow-on treatments, they will be very loyal. And gift token will make them very easy to buy gifts for. But where can you learn this fantastic skill, how long will it take to learn and how much will it cost? This is where I come in! 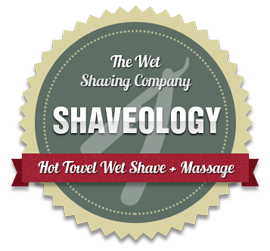 I run The Wet Shaving Academy and, and the name suggests, I train people to perform professional, high class, hot towel wet shaves. You don’t need any experience in barbering or hairdressing to do this course, in fact it is often easier to train beauty therapists as they are so used to working on people’s faces. My background isn’t in barbering. I’ve been a professional masseur for nearly 20 years. I’ve always enjoyed having a good barbershop shave and decided 10 years ago to learn the skill (not easy back then) and develop it as a proper treatment by bringing in elements of massage and relaxation. Shaveology was born! The idea behind Shaveology is that you take a great shave and build around it a fantastic treatment using the skills you already have – facials, manicures, massage, waxing. This makes a wonderful, flexible way of offering ‘tasters’ of many of your other services. I’ll warn you now – my course isn’t the cheapest, shortest or easiest one on the market. But I have done extensive research into what makes a successful course and it boils down to how confident you are to use your new skills. If you attend a half or one day course and do one or two shaves you will probably have a fair idea of the techniques involved in straight razor shaving. But the absolute key to being a successful Shaveologist is confidence. A straight (cut throat) razor is as sharp as a surgical scalpel and when handled correctly will give you a feeling of satisfaction that’s hard to beat. But if you’re unsure of technique, or presented with a face that is more challenging to shave, you can lose your nerve very quickly. My course is spread over two (pretty intensive) days, and you will get to shave up to ten guys. This gives you a solid grounding in many different combinations of face shape, density and coarseness of growth and ages of client. The course will be run at your premises and you will provide the models. To me this is very important. If you come to me and I provide the models it’s great, I’ll still be able to teach you a huge amount, but you are missing out on a very valuable resource. Each of the models you provide becomes not only a potential customer but is also a great source of feedback when you are consolidating your skills (never refer to it as ‘practise’!). Each model not only listens to me teaching and explaining for an hour or more, but also experiences me demonstrating the more difficult areas. Another benefit of me coming to you is that when you’re advertising for models, and while we’re doing the training, it’s starting to spread the word and build the buzz about your new service. Also try to get the local press to send a journalist to get shaved – great free publicity. The cost of the course is £600 for one person, £400 each for two, or £300 each for three of more. Class size is restricted to three maximum, so if it’s more I’ll run smaller courses back to back. There may also be a charge for travel and accommodation. Including the cost of equipment ( barbers chair, etc) the total cost of set up for one person is less than £1,000. I charge a Luxury Shave (30 minutes) at £30 and an Ultimate Shave (60 minutes) at £55. It is possible to recoup that initial investment back really quickly just with selling gift tokens. Then the rest is up to you to make them become regulars! Our course is accredited with Professional Beauty Direct, and is recognised by most insurance providers, and can be used for CPD points. At The Wet Shaving Academy we are committed to continuing professional development and are introducing a range of follow on course to compliment and enhance your shaving skills. Indian Head Massage and Male Facials will be introduced shortly, and in May we will be launching a Waxing For Barbers course. Developed by Axiom Waxing and The British Barbering Association it is designed to give those with no waxing experience the skills and knowledge to wax ears, nostrils and eyebrows. A shorter conversion course will be available for experienced waxers. If you have any questions about developing a male treatment menu, would like a copy of our questionnaire, or would like further information about our courses please don’t hesitate to email me at Patrick@wetshavingacademy.com or call me on 07723091845.